From Amazon: This book addresses a neglected topic in design despite the omnipresence of plastic in our daily lives for many decades. It is aimed at students and professionals in these sectors, as well as all design lovers in search of an adequate extension to know or recognize the main plastics, and understanding their implementation. Decrypts this point of view the most cult objects, Bic razor to La Marie chair by Philippe Starck, explaining how and why this or that plastic was chosen for these products. An important part is dedicated to recyclable plastics, another develops prototyping processes, including miniaturization and digital 3D printing. An illustrated technical specifications for each specific type of polymer characteristics, properties and more frequent use. 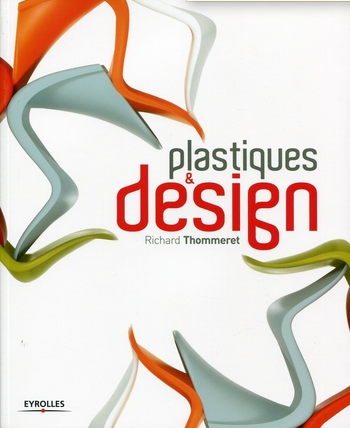 Finally, the book includes several interviews with major European industrial designers on the specific process plastics. Find Oxman's work on P.72.